Dinner at Woodlands with Chie and Ai-san's friend Frank from university, and we were also joined by Keisuke-san. 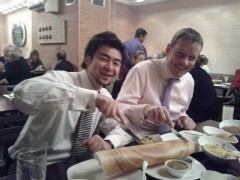 Keisuke-san and Frank digging into the paper masala dosa. 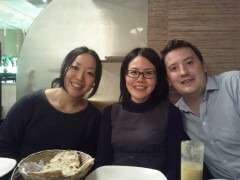 Ai-san, Chie and me on the other side of the table. 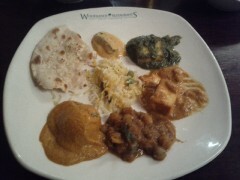 My plate. Good assortment of curries here!